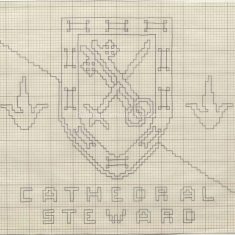 4 patterns for the Guildford Kneeler, three on card and one on tracing paper. 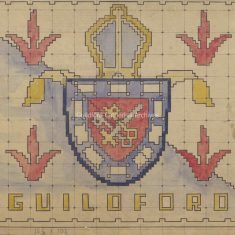 a) is a draft colour design in watercolour signed by Edward Maufe, b) is a full colour design in watercolour on squared paper, c) is a pencil outline drawing on squared tracing paper, d) is a black and white copy of a pen outline drawing with pencil colour annotations added. 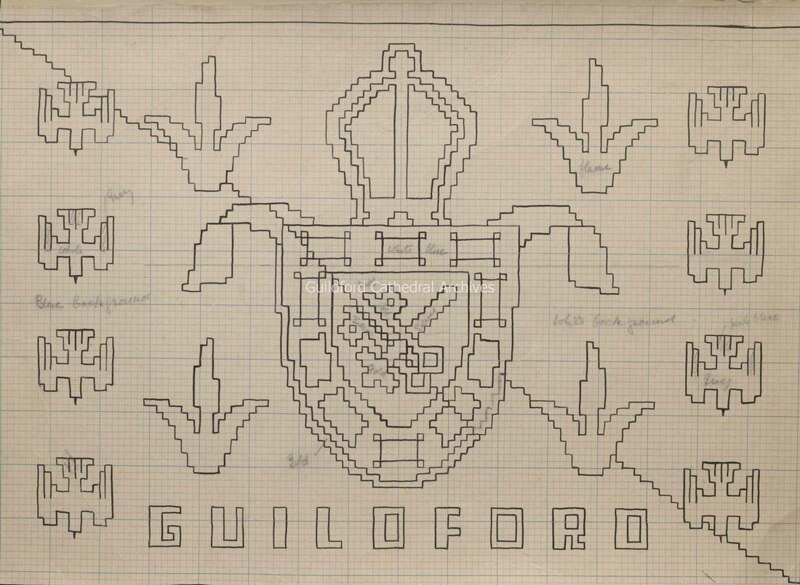 The design shows a shield with crossed sword and keys at the centre, with a crown above and stylised doves and flames around. 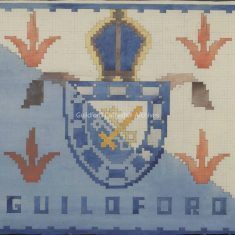 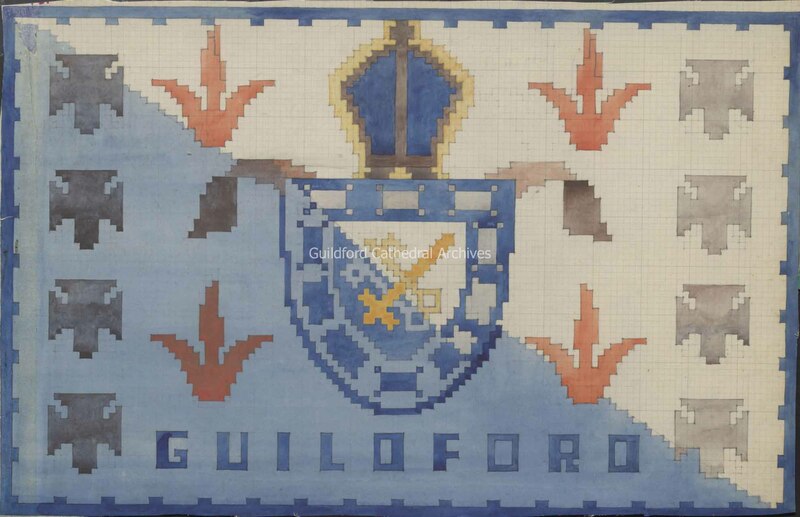 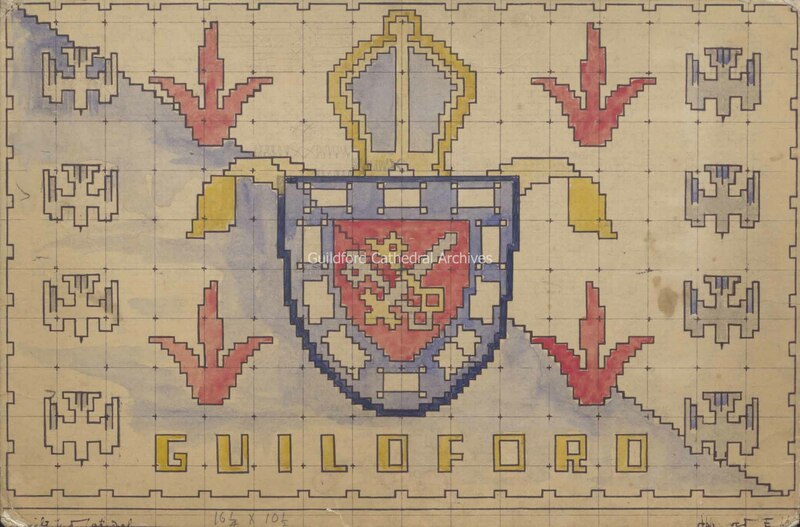 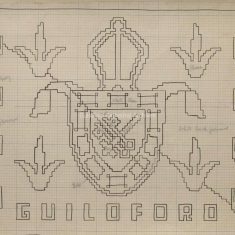 The word “Guildford” appears at the bottom. 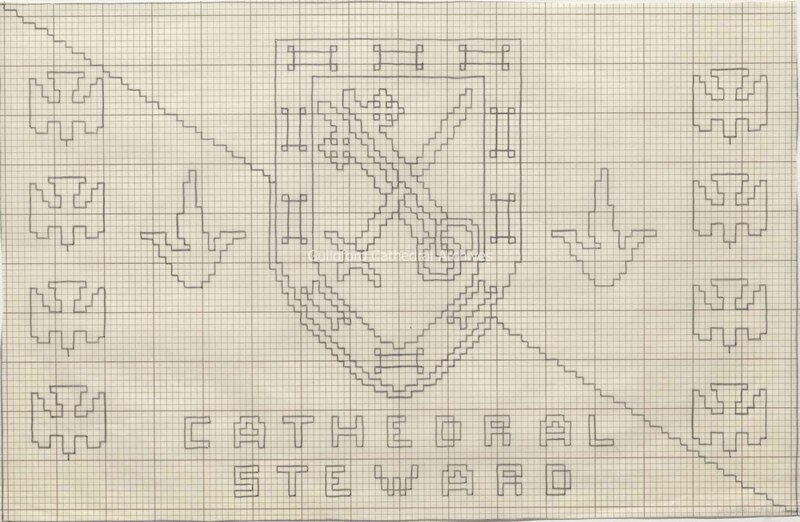 c) features no crown and the words “Cathedral Steward” at the bottom.